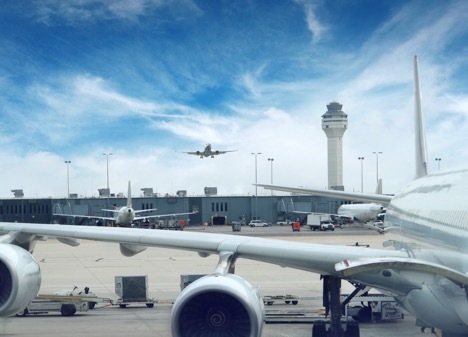 In order to cope with air traffic growth, airports need to improve air traffic flow management and efficiency to increase the capacity of existing infrastructures while preserving safety and limiting environmental impact. Having access to the most detailed data for thorough analysis is key in identifying potential opportunities for improvements in efficiency. The ground radars installed at major airports usually serve the purpose of monitoring live ground traffic of aircraft and airside vehicles for safety purposes. Radar data is then usually stored with a possibility to ‘replay’ past activity in a similar manner as rewinding a video player. However this wealth of data, which covers everything that happens on any airside location at any given time is currently under-used. In 2013, Groupe ADP teamed up with Safety Line, a Paris based start-up offering Big Data software solutions for the safety and efficiency of airline and airport operations, to explore ways to derive value from these vast amounts of data. Groupe ADP strongly believes in the future potential of this start-up and decided to participate in the financing of the company in 2017, acquiring a minority share and being a member of the Strategic Committee since then. Being a member of this committee allows Groupe ADP to advise Safety Line on its strategic choices and position on the market. Runway excursions are one of the main causes of incidents and accidents and are often related to an unforeseen deterioration in runway condition due to weather. Strong efforts are being made to address this and by 2020, airports worldwide will have a regulatory obligation to monitor runway condition and report TALPA Runway Condition Codes for every third of runway in real time. Working closely with Paris-Charles de Gaulle Airport’s Airside Safety team, Safety Line was able to develop and implement an automated solution to determine and report updated Runway Condition Codes for every third of runway in real time. The solution analyses ground radar data from each landing for any anomalies in braking patterns or lateral deviations that could be caused by a deterioration in runway friction, in combination with machine learning of weather inputs. This totally innovative solution was the object of a joint patent between Groupe ADP and Safety Line in 2017. Aside from improving safety, the continuous source of information achieved with each aircraft landing allows to identify runway condition evolutions in real time and to schedule any runway closures for friction measurements or runway decontamination more efficiently, thereby increasing runway capacity. Going one step beyond, AirsideWatch further breaks down each trajectory into specific phases, from parking and pushback to alignment and takeoff, or from landing and runway exit to gate, with the possibility to identify the time and distance covered between any two phases. This allows for additional analytics such as taxi time and distance, time at gate, or time at de-icing bays, allowing for further analyses and improvements in capacity. AirsideWatch has just been implemented at Paris-Orly Airport, who have already used its valuable outputs to better position a new runway exit based on actual aircraft landing patterns and speeds. Paris-Orly is also working on some new KPIs that were not previously available with traditional tools, including a ‘runway pressure’ KPI indicating the accumulated time for which each aircraft was at a total stop in the last 500 meters ahead of line-up. 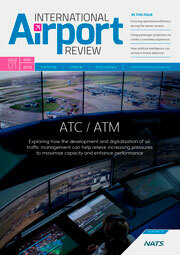 AirsideWatch, is in compliance with airports sustainable development policy. 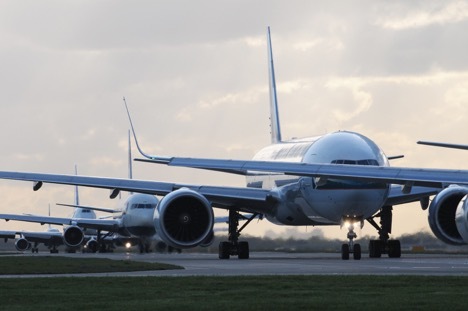 Optimizing ground traffic can beget a reduction in taxiing time: it can allow to reduce by 10 000 tons of fuel (10M€) and by 30 000 tons of CO2 emissions per year in Paris – Charles de Gaulle Airport. Thanks to AirsideWatch worldwide carbon emissions could be reduced by 6 million tonnes, around the amount of Paris’ total emissions. Finally, AirsideWatch will also help airports monitor much more precisely than ever their noise and emissions impact by feeding noise and emissions simulation models with extremely precise inputs from actual aircraft trajectories, including speeds and accelerations.